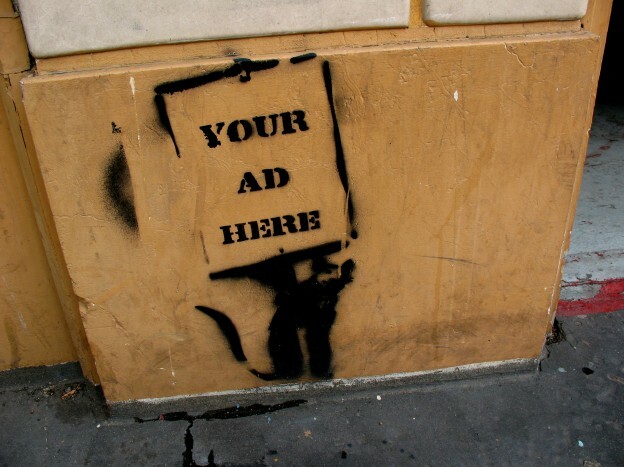 Why is Media Business Innovation Dominated By Advertising? Photo by Shannon Kringen on Flickr and used here with Creative Commons license. The following opinion piece is a guest post and does not necessarily reflect the opinions of this publication. Read more about MediaShift guest posts here. Roughly 20 years into the still-unfolding great disruption of “old media” and the advertising market that mostly supported it, the business of journalism appears to be in a new phase. "The problem is that the economics of publishing have changed in the digital era, shifting the balance of power between advertisers and publishers to the former’s advantage." The first phase of disruption was marked by much hope and promise, as the burgeoning Internet liberated publications from the limits of print distribution, allowing them to reach audiences around the world instantly and at little cost. In the second phase, hope became anxiety, at least for publishers, as it became clear that the removal of geographic and economic limits also meant dramatically increased competition for reader attention, fatally undermining the advertising-supported businesses of print newspapers and magazines. The weakest or unluckiest old media players did not survive this phase. The third and current phase has been marked by transition, as surviving old media companies learn to retool their businesses for the digital era, and formidable new media companies begin to rise from the ashes of this creative destruction. Those who believe that journalism of consequence is critical to the proper functioning of a democracy as well as of a market economy are looking to this latest phase for answers. Will the survivors, and the new players, come to constitute a press that is as vital as in the past? In this new world, will the media market be able to support the kind of journalism that holds those in power to account and that edifies and informs the public? Many surviving old media companies seem to have emerged from the disruption of the past 20 years genuinely better suited to flourish in new economic circumstances. Most of these outlets have taken a lesson from the havoc the Internet wreaked on advertising and diversified their revenues. The New York Times, for example, earned more revenue from subscriptions than advertising for the first time in 2012, and since then its revenue from subscriptions has continued to grow while its advertising revenue continues to decline. The Economist, according to its deputy editor, takes the view that “advertising is nice, and we’ll certainly take money where we can get it, but we’re pretty much expecting it to go away.” Even old-media brands that still rely overwhelmingly on advertising, such as The Atlantic magazine, have significantly diversified by adding new revenue streams, such as conferences and events, that depend on direct payments from readers. Strangely, however, among the most significant new media ventures, where one would expect the most innovation to be occurring, there is very little experimentation with business models that don’t involve advertising. The lesson that most media startups seem to have taken from the evisceration of advertising-supported journalism over the past two decades is that more innovation is needed . . . in advertising. The irony of this situation is compounded by the success that advertising-supported media startups have had in attracting investment. Vox Media, Vice Media, BuzzFeed and Business Insider have all raised new financing rounds in the past year. The investments have come from the kind of venture capital firms that usually back technology firms (for BuzzFeed and Vox) as well as from traditional media companies (for Business Insider and Vice). The investment in Vox Media, which includes sites on food, real estate, fashion and sports, as well as the news site Vox.com edited by Ezra Klein, valued the company at $380 million, or about 15 times its estimated $25 million annual revenue. The company is not currently profitable. BuzzFeed, with about the same number of monthly readers as all of Vox Media, is valued by a recent investment round at a whopping $850 million. In an era when advertising-supported Web applications commonly achieve massive scale, and billion-dollar valuations for the startups that launched them, by being free to consumers, it’s not surprising that Silicon Valley investors would favor media companies with similar models. The extent to which investment in advertising-supported media dwarfs other potential models, however, is surprising given the unexplored opportunities for innovation and experimentation in areas like subscriptions and micropayments. This trend is not particularly good news for journalism. Without some fundamental changes to their businesses, and to the incentives created by the advertising models that they have chosen to pursue, it’s unlikely that these new media companies will function as pillars of the “fourth estate” in the usual sense. To ensure the kind of “accountability journalism” that is critical for any democracy to flourish, well-funded new media players must experiment with models other than advertising. This is not only because much of what these new media companies produce would be more properly described as entertainment than journalism. The history of consequential journalism, particularly in broadcast news, includes precedents for such a model. 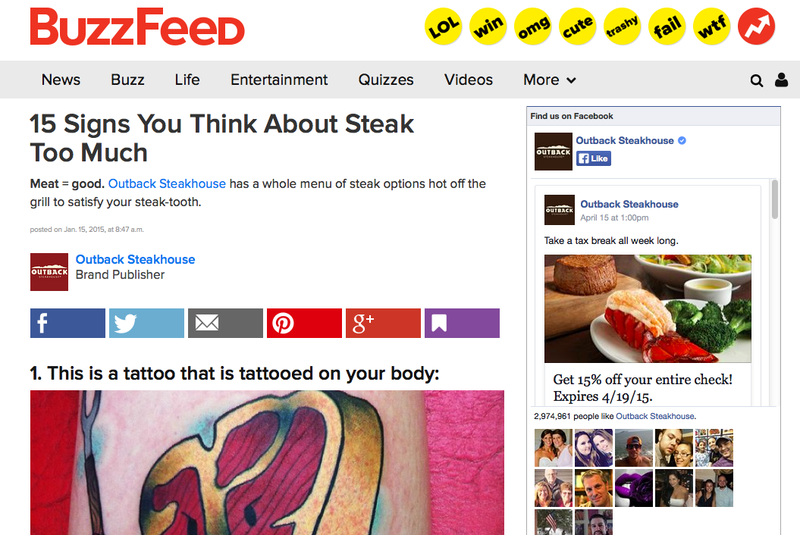 Ads that ran during popular television sitcoms on CBS supported Walter Cronkite’s evening news broadcast, just as the money that, for example, Outback Steakhouse paid BuzzFeed for “15 Signs You Think About Steak Too Much” can help support investigative reporting. The problem is that the economics of publishing have changed in the digital era, shifting the balance of power between advertisers and publishers to the former’s advantage. This means that advertising-dependent publishers must pay attention to the needs of advertisers to an unparalleled degree, in potential conflict with the best interests – and trust – of readers. In the second half of the 20th century, advertisers were less likely to influence editorial content because the available supply of advertising platforms was relatively small, and the barriers to entering the publishing business high. This put publishers in the enviable position of being the sellers in a sellers’ market. As a result, publications could be advertising-supported while remaining largely immune to the influence of their advertisers. This oligopolistic market created some of the best and most consequential journalism the world has ever seen, and our democracy was better for it. To deal with these new economics, publishers that rely on advertising have had to figure out how to offer more value to advertisers by better catering to their needs. They have done this by blurring the lines between advertising and journalism. The “native advertising” that many outlets, both old and new, have experimented with is evidence of this cozier relationship. In addition to the alarming implications of publishers essentially doubling as advertising agencies, there is another aspect of native advertising that has gotten less attention: It only works well when it is placed beside non-advertising content that is similar. The Outback-sponsored listicle referenced above is only effective because it appears beside other equally trivial listicles. It’s much harder, if not impossible, to conceive of native advertising that can be effectively mixed in with more substantive content on a consistent basis. In such a model, then, the economic incentive is skewed toward producing entertainment. Perhaps unsurprisingly, those who are running and funding advertising-supported media startups don’t like to talk very much about their prowess in catering to advertisers. Editors at such companies prefer to talk about the serious journalism they produce rather than the fluff that attracts the massive audience needed to sustain the model they have chosen. Those on the business side are only slightly more forthcoming. BuzzFeed CEO Jonah Peretti, in a recent interview, somewhat implausibly framed his company’s efforts to gather extensive data on their readers as a way of “connecting with your audience” in a “deeper way” rather than as a method for better serving the advertisers that pay the bills. One high-profile investor in new media recognizes the difference between grabbing readers’ attention with free trivia and winning their trust with content for which they are willing to pay with their hard-earned money. “Many consumers pay money for things they value much of the time. If they’re unwilling to pay for a news product, it begs the question, are they really valuing it?” Marc Andreessen wrote in an incisive 3,000-word essay on the future of the news business that was published on his firm’s website last year. It’s a great question. There is a significant difference between what attention and money reveal about how consumers value media content. Attention tends to be given freely, for a variety of reasons, and often without much consideration. Money, on the other hand, notwithstanding recent discoveries in behavioral economics, tends to be allocated more deliberately and with greater consideration for the value of that on which it is being spent. For companies that truly aspire to produce quality journalism, subscriptions and other direct payments from readers are a better way to gauge what they value deeply, and therefore a better way to build such a business. Convincing readers to pay for journalism is hard, of course, especially now that many readers have been conditioned to expect that online content should be free. But if the commodification of advertising ushered in by the Internet can be undone through innovations like native advertising, surely the commodification of content can also be undone, and to the greater benefit of journalism and therefore society. Unfortunately, the largest and most well-funded new media companies don’t seem to be thinking about paid models at all. In Andreessen’s essay on the future of news, he listed “eight obvious business models for news now, and in the future,” including advertising, subscriptions, a combination of the two, micropayments, events and other models. In his listing of companies that are presently at the forefront of news business innovation, however, almost every one of the new companies he cited, including those in which his firm, Andreessen Horowitz, currently invests, employs a model based overwhelmingly on advertising. Continuing innovation is important in any industry, but it is especially important in the journalism industry, which, having been upended economically in the past two decades, remains critical to the well-being of a democratic society. To make sure the media sector remains able to fulfill all its vital roles, from entertainment to political accountability, innovation shouldn’t be limited to ways to make and distribute content under a single business model, especially if that dominant business model creates perverse incentives for publishers that can erode the quality and integrity of what they produce. If current trends are a good predictor of journalism’s future, we should all be worried. Hampton Stephens is the publisher and founder of World Politics Review, a subscription-supported publisher of international affairs analysis. Here’s one model, for community journalism, that is opening the door to a new revenue stream: http://BanyanProject.coop. Please check it out and spread the word. Interesting piece. Thank you. There certainly is a lot of innovation in the advertising realm and that is particularly true in the large-niche B2C businesses you cite. There is a great deal of innovation in the niche publishing world, both B2C and B2B, as those players develop and implement effective multiplatform strategies. Innovative business models include paywalls, free-to-premium, community/user generated content, and more. These niche players tend to fall below the radar of the general media so it is easy to overlook the innovations in that space. But the innovation is there.